Information provided by you via on-line forms. This includes, but is not limited to; enquiries, complaints, registration forms. We do not process any payments on-line, and therefore do not ask for any payment details to be entered on-line. When processing payments over the telephone we do not retain any credit or debit card information either manually or electronically, so subsequent payments or refunds will require you to re-supply this information for processing. Your information will enable us to provide you with access to all parts of our site and to supply the goods or services you have requested. It will also enable us to contact you where necessary concerning your orders. We will also use and analyse the information we collect so that we can administer, support, improve and develop our business. In particular, we may use your information to contact you for your views on our services and to notify you occasionally about important changes or developments to the site or our services. Further, we might also use your information to let you know about other products and services which we offer which may be of interest to you and we may contact you by post, telephone, as well as by email. If you do not wish to be contacted in the future, please contact us. 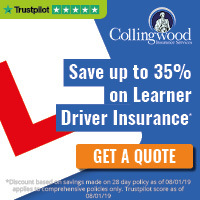 The information you provide to us will be held on our computers in the UK and may be accessed by, or given to our staff working within the UK and third parties including self-employed franchisees within ELITE Driving Instructor Training Ltd business operation. Those parties process information, fulfil and deliver orders, process credit card payments and provide support services on our behalf. We may also pass aggregate information on the usage of our site to third parties but this will not include information that can be used to identify you. When providing us with your details, we will not share this information with any third parties, other than those directly involved with the product or service being delivered (eg Merchant account processor). It is worth noting that some third parties present on our website may also issue cookies. Third parties may place and/or read cookies on your web browser as a result of an advertisement or video being viewed on our websites. You are entitled to see the information held about you and you may ask us to make any necessary changes to ensure that it is accurate and kept up to date. If you wish to do this, PLEASE CONTACT US. We are entitled by law to charge a fee of £10 to meet our costs in providing you with details of the information we hold about you. You can do this by writing to us at: ELITE Driving Instructor Training Ltd, Helena Suite 3, Airport House, Purley Way, Croydon, Surrey, CR0 0XZ.